Do Evil Fairies Really Exist? Evil fairies have recently gained a little exposure on the World Wide Web. For some reason or another, many believe that these mythical creatures exist. This, along with many other types of folklore and legends, started with the Irish. The Irish have a strong belief that the demonic fairies sneak up on various types of individuals and literally steal their souls. It is believe that once the soul is stolen, it is replaced with a mysterious creature referred to as a "Changeling". It is also believed that these evil based fairies will place curses on individuals. It is also believed that if a wail is heard at your window that it is this type of mythical creature warning you that a loved one is about to die. Here, you will learn about these mysterious little creatures. 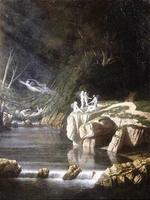 One of the most popular types of evil fairies when it comes to the Irish is called a "Banshee". This particular fairy is a female mythical creature that is believed to have the capability to forewarn of a death of a loved one. It is believed that this creature is a messenger from what is referred to as the "Otherworld". This area in the mythology of the Celtic is said to be the realm in which the dead reside. It is considered to be the area where various deities exist. It is believed that this fairy will emerge into the physical, living world during the night hours and will retreat to the woods in order to release a mourning call. Many refer to the sounds emitted from the Banshee as the sound of singing that is low and pleasant sounding, while others describe it as a "screeching wail". Throughout history, many of the Irish have used the phrase "Away with the fairies". This phrase is typically said to those that appear to be distracted, emotional, and even mentally ill. 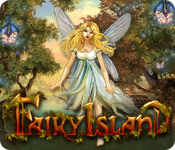 In some cases, those that are physically ill are believed to be tortured by evil fairies. There are many stone based circular structures located throughout Ireland. These are the homes where individuals resided in the early history of the Irish. These are often called "Fairy Forts" and it is believed that they reside in these abandoned structures. If a person goes close to one of these structures, or worse, goes inside of one, it is believed that evil fairies would curse them with severity. As you can see, there are many that believe that evil based fairies are quite real. These fairies are described in many ways. One individual may describe them as evil looking creatures, while others describe them as quite beautiful. There are many that believe that they are actually good overall, but have a nasty evil streak if someone interferes with their mission in the physical world. There are others that describe them as demons. Regardless, the mythical evil fairies are quite interesting and qualify as one of the world’s greatest unsolved mysteries of all time!